The GEL-PEAKE 5 is built for hard wicket cricket. 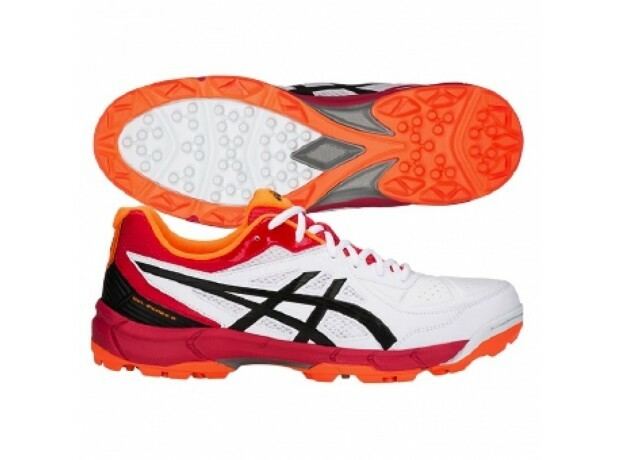 This no-fuss cricket shoe is constructed using a single density midsole and a dimpled rubber outsole to deliver excellent grip during play. It includes both Rearfoot and Forefoot GEL Cushioning to help absorb shock when playing on hard surfaces, and the added Trusstic System technology provides added stability.